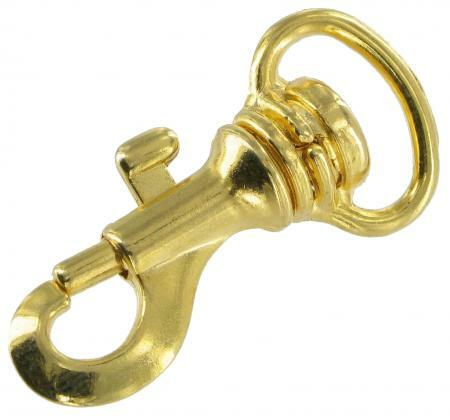 Tiny Gold Finish Trigger Hook. This replacement trigger hook suits fine shoulder straps. It has a gold finish. It will accommodate a strap of 10mmin width. Overall length 33mm. If you have any queries about the suitability of this luggage spare, please call +44 1494 775577 and ask to speak to Paul. This range of replacement parts is useful for practically minded people, who have a broken handbag or holdall they do not want to part with and who do not have a saddler or luggage repairer in their neighbourhood.